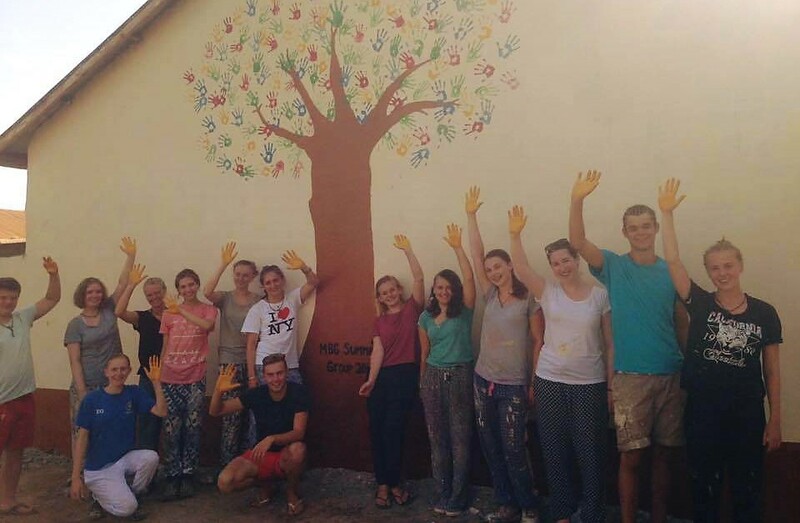 The 2016 Summer Group complete a pre-school building. In 1982 MBG established a link with the Muslim fishing community of Gunjur in The Gambia, West Africa, and since then there has been a steady flow of over 2000 people between Marlborough and Gunjur. MBG traditionally looks to place volunteers with host families and still does this with adult volunteers. Students now stay in the village community centre at the heart of the community. We believe that it is this level of cultural embedding that is fundamental to gaining a deeper understanding of our different cultures and communities. Anita Bew has been coordinating link exchanges between the UK and The Gambia for over 20 year and Alex Davies has supported trips since 2004. We have developed some very strong relationships with a wide range of people in the Gunjur community. Since 2017 we have worked with Venture Force, a small professional expedition provider who match our charitable views and ambitions, who provide all of the logistics, health and safety and professional leaders. Over 37 Years of experience and a strong and dedicated team both here in the UK and in The Gambia ensure that your group trip in Gunjur will be a lifetime experience that will continue to benefit your personal and professional development. MBG works closely with NGO TARUD (Trust Agency for Rural Development) which manages a number of development projects in Gunjur including pre-school education, health education, water and sanitation, women's literacy, micro-credit, malaria eradication and women's livelihoods. Voluntary work placements or community projects will either be overseen by TARUD or the Gunjur Community Link (GCL) depending on what project or you decide to do. The Gunjur Community Link (GCL) is responsible for the overall hosting of students and volunteers during their stay in the village and The Embassy and the Ambassador in Banjul are fully aware of our project and give us their full support.